Since it opened its doors more than six years ago, the Kitchen Cafe has worked closely with the Boulder community. Walk by early morning and you might see a chicken farmer dropping eggs off at the restaurant. Or simply read the Kitchen's menu: John Long pork, Monroe Farms beets. It reads like a directory of local farmers. This summer, though, the Pearl Street restaurant is pushing its community involvement beyond its four-walls. Which is a good reminder that as chefs increasingly look to connect with their diners, they are doing so both on their premises and beyond. 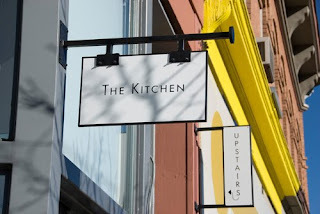 This summer, specifically, the Kitchen is joining forces with members of the Boulder food community and chef Ann Cooper. The group is raising money for The School Food Project, an organization dedicated to better equipping Boulder Valley school kitchens. Peggy Markel and Chef Hugo Matheson "A Night in Morocco"
Details: Please Join Peggy Markel and The Kitchen at the gardens of Rebecca DiDomenico and Stephen Perry for "A Night in Morocco.” Enjoy Moroccan-inspired food and cocktails and listen to the Tk sounds of north African music. All proceeds benefit The School Food Project. For more information and reservations, click here. Details: Cure Organic Farm hosts a special Meadow Lark Farm Dinner, in which all of the proceeds will go directly to Boulder Valley School District’s, The School Food Project. For more information and reservations, click here.